Old Street | Look mum no hands! The HQ! Our original location where everything started. We’ve been serving coffee, fixing bikes, and showing Le Tour at Old Street since 2010. 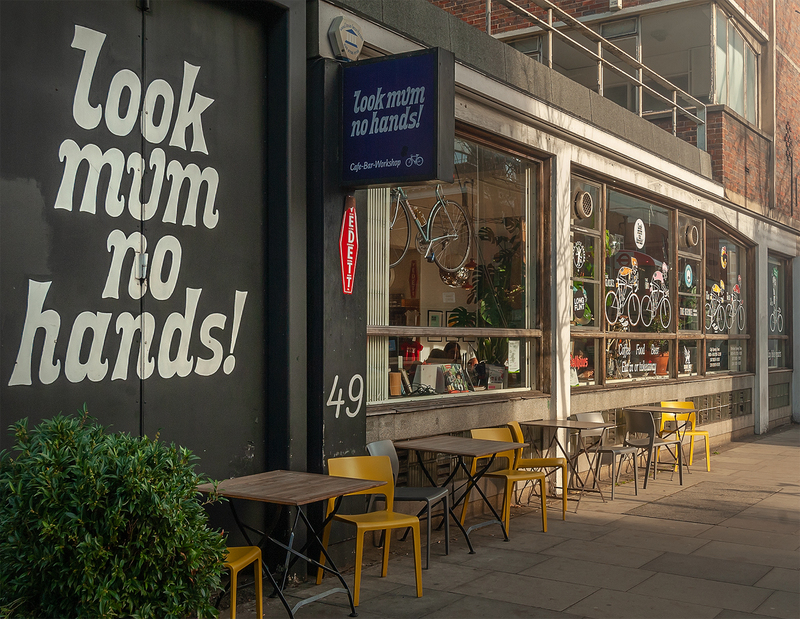 We’ve seen the cycling population of London boom and they always want coffee, cake and beer. 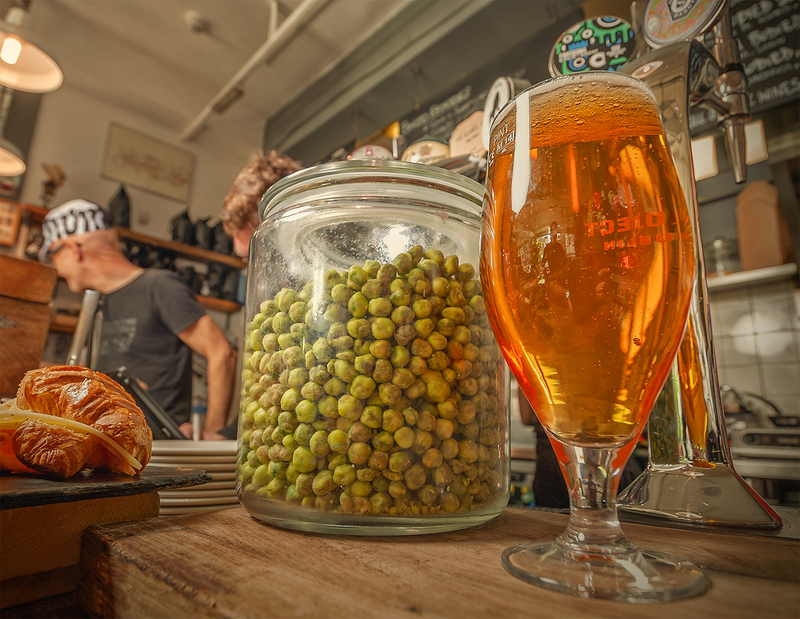 Enjoy £3.50 selected pints and glasses of wine at 49 Old Street between 5 - 7pm Monday - Friday. You're welcome. We kindly ask that laptop users do not use the tables, you are welcome to sit along the bar or on the sofa seating at the back of the cafe. There are dedicated power sockets under the bench and around the sofa area. We only take bookings for the evenings! From day one we’ve served Square Mile Coffee Roasters and it's still our offer today. If you'd like to try something new, ask a baristas about our guest espresso. Served from 07:30 - 11:30 in the week. Available 8:30 - 16:00 on Saturday. Available 9:00 - 16:00 on Sunday. Our lunch offer changes every day. We make freshly made salads and rotate a selection of salas and sandwiches. 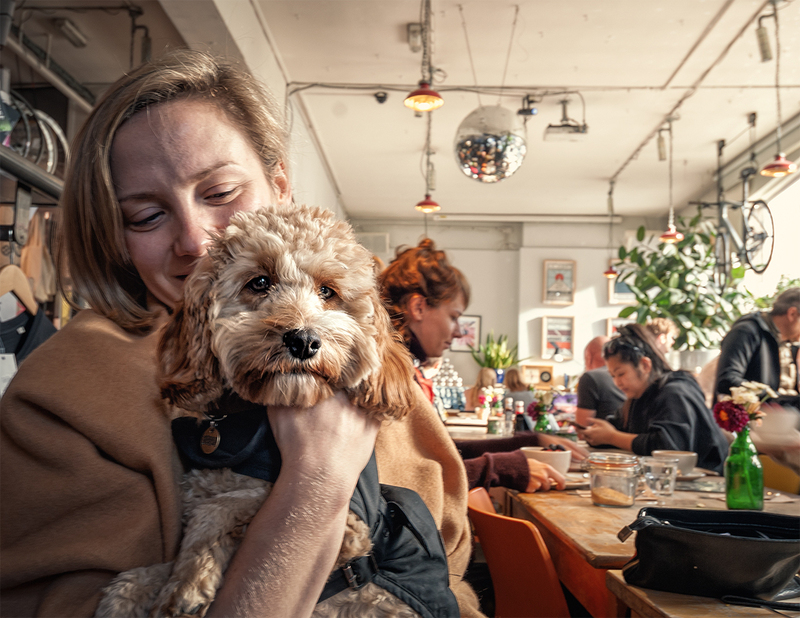 We cater for all different types of food lovers including gluten free, vegetarian and vegan friends. Available from 12.00 - 21:00 weekdays. We sell draught beer! Our four taps showcase our favourite London and UK based brewers (and sometimes beyond). It rotates as the beers run out, so pop in or ask to found out what's on offer. Find out more about our suppliers and the breweries we work with here, you will always find the fridge well stocked with bottled and canned craft beer, cider, wine, and interesting freshing beverages.